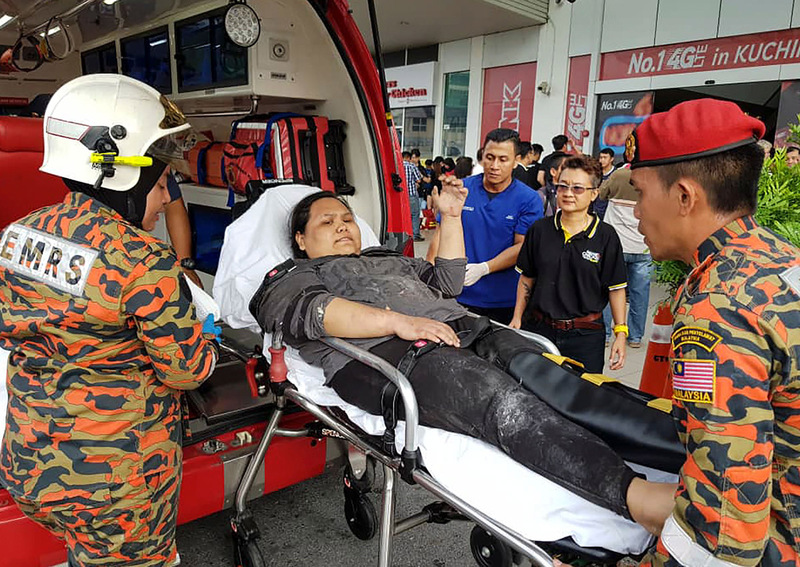 KUCHING - Three people were killed and more than 20 injured when an explosion rocked a shopping mall here. "We received a distress call at 3.37pm and sent teams from three stations. "When we arrived, we found 14 victims with light injuries were helped out of the mall by members of the public," he told reporters at the scene. "At the time, workers were testing the equipment in the outlet, which was scheduled to be opened tomorrow (today)," he said. "It is a workplace incident," he said. "The wall fell and hit me. Everyone was in a state of panic," he said. "It was very loud. At first I thought it was thunder but it sounded too loud. "I could hear people screaming and then the cleaners and some mall workers told us to go out," she said. "Safety measures and guidelines for all workers have to be increased," he said.